On September 12 – 13, 2015 we enter the dark procreative void of a Solar Eclipse held in the arms of the Winged Maiden, the first of a series of eclipses we will experience in the sign of Virgo. Solar Eclipses are the most intense New Moons, when the alignment of the Moon between the Earth and Sun blackens our solar light. Although this particular eclipse is partial and not total in its darkening effect, it is potent nonetheless as the ruler of the eclipse, Mercury in Libra, is separating from a square with Pluto in Capricorn and in process of stationing retrograde five days afterward. This Virgo Solar Eclipse furthermore digs up the roots of the past season of Venus retrograde intensity, as it comes less than a week after Venus has stationed direct and its Mercury in Libra ruler is being received by Venus in Leo through a sextile. New Moons are known as times to set new intentions and begin new journeys while clearing what needs to be released from the past, yet at Solar Eclipses the changes that arise often feel out of our control similar to a tidal force erupting around us. Dane Rudhyar in The Astrology of Transformation ascribed this effect of Solar Eclipses to the fact that the Lunar Light obscures our view of Solar Light in blackness, meaning from Earth we momentarily experience the Moon alone without the Sun. Since the Moon signifies the intersection of our past in the present moment, it means that forces from our past, including unconscious forces, can likewise veil our present experiences in their fertile darkness. Again, though this particular eclipse is not total and therefore the Sun will not be completely obscured, the same general symbology applies. Who is the Winged Maiden holding this Solar Eclipse? To the Greeks she was Astraea, a daughter of Zeus who helped direct humanity to follow natural law during the Golden Age of peace and prosperity on Earth, coming down from the heavens to mingle with ordinary people on the Earth and foster harmony with the natural world of creation. Over time as humanity became increasingly corrupted, it was said that Astraea became increasingly full of contempt for humanity, becoming so full of hatred eventually that she left Earth forever to become the constellation of Virgo. Astraea has an association with Justice also found in the following sign of Libra, yet hers is more of a natural justice governed by the order found in the creation and destruction of the natural world, the waning and waxing of the Moon, the cycles of seasons and their connection to growth and decay, and the orbit of our Earth around the Sun within the cycles of cosmos. Virgo seems to embody a deep paradox, a combination of upright and almost schoolmarmish Astraea set side by side with the orgiastic lunar goddesses of Asia Minor. This paradox poses an enormous conflict for Virgo, and it is out of the conflict that Virgo’s pattern of development arises. Whether this is enacted as a collision between personal and professional life, between marriage and independence (a common theme), between spirituality and materialism, between morality and abandonment, Virgo struggles with these opposites throughout life, trying to encompass them both. Often the Virgoan individual will try to embody one while sacrificing the other, and this generally provokes difficulties, for the fate of the sign does not seem to permit such splitting . . . The harlotry of the virgin goddesses does not mean merely sexual availability to all callers any more than ‘virgin’ means merely sexual intactness. I would understand it more as an openness to the flow of life, a willingness to trust the natural order, an acceptance of penetration and change. Contrary to the popular descriptions of Virgo, I feel this paradoxical daimon to form the true core of the sign. But it is difficult to achieve . . . It is far easier, and more common, for Virgo to flee into ritualised or obsessional behaviour, where the sterner aspects of Astraea submerge the fecundity and joy of Atargatis. 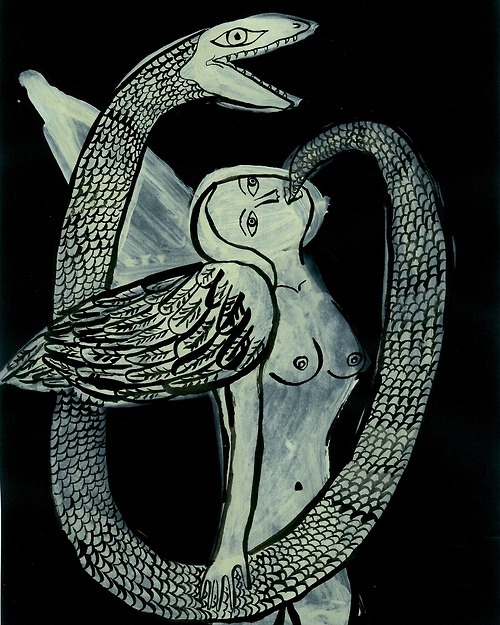 This is often the prelude to the arrival of psychosomatic symptoms, for Atargatis is a deity who demands entry through that most basic manifestation of life- the body. The Virgin in the symbolism of Virgo as we know is not about chastity or saving one’s sexuality for marriage, but rather is about the aspect of oneself which is independent and whole upon itself outside the constraints of marriage or the morality of societal conventions. Virgo is a sign connected to independently acting from a place of inner morality and Mercurial discernment, and so this Virgo Solar Eclipse arriving in the aftermath of Venus having stationed direct in Leo means whatever now lacks alignment with our inner truth will become eclipsed and released. Instead of using obsessive, ritualised behavior to shield ourselves from the coming changes, we can instead embrace the change in the moment through ritually purifying and tending to our body in order to receive the full message found within the shifting and shedding. For thousands of years eclipses have brought fear, being seen in ancient times as events in which our two Lights (Sun and Moon) were consumed by a great dragon of chaos and creation, with the North Node of the Moon representing the head of the dragon, and the South Node of the Moon representing the tail of the dragon. The lunar nodes are wholly metaphysical, as they do not physically exist but are instead calculations originally discovered to predict eclipses. The lunar nodes are points in space found through the intersection of the Earth’s orbit around the Sun with the Moon’s orbit around Earth: the South Node of the Moon being the descending arc of the Moon’s orbit (associated with the tail of the dragon, the past, release, the unconscious), while the North Node of the Moon is the ascending arc of the Moon’s orbit across the ecliptic (associated with the head of the dragon) and therefore has become associated with the conscious ascension of desire for manifestation in our life. To many, the North Node of the Moon is furthermore associated with one’s evolutionary path in life, though this path is oftentimes fraught with struggles over our desire nature. When our Lights align with the nodes we have an eclipse, with the Sun and Moon on one side of the nodal axis at a Solar Eclipse and the Sun and Moon on both sides of the nodal axis at a Lunar Eclipse. In the case of the Moon’s nodes, we are dealing with what might be called the karmic way in which the Moon’s function operates in a human being. But the word karma should not be used only in the sense of “bad” karma. Karma simply refers to the fact that any new cycle of existence is always in some manner related to or is a sequence of a previous cycle. The new cycle inherits from the old some unfinished business which needs to be dealt with, but it also inherits the results of some achievements. More specifically, the Moon’s north node symbolizes new possibilities of growth on the basis of what has been accomplished “in the past” — let us say, in “past incarnations”, although the concept of reincarnation is most ambiguous, or at least far more complex than popularly interpreted . . . We should not forget that a person is first of all operating in a biosphere with a long evolutionary past and in a society and culture conditioned equally by ancient, collective failures as well as great achievements. Thus karma is never to be considered solely a personal matter; for it is also produced by a collective situation inherited from a long series of past generations. The ruler of this Solar Eclipse is Mercury in Libra that gives even greater emphasis to the fact that the eclipse is conjunct the North Node of the Moon in Libra. As a result our minds will be focused more on relationships and expressing what we need and desire, and we will likewise be on the receiving end of needing to listen to the needs of those we are in relationship with. This relational focus through Libra will involve romantic relationships, friendships, business relations, and all forms our interactions with others take, but there will also be added emphasis in the collective on issues around social justice and oppression, with numerous karmic collective strands coming together in a messy knot of conflict. 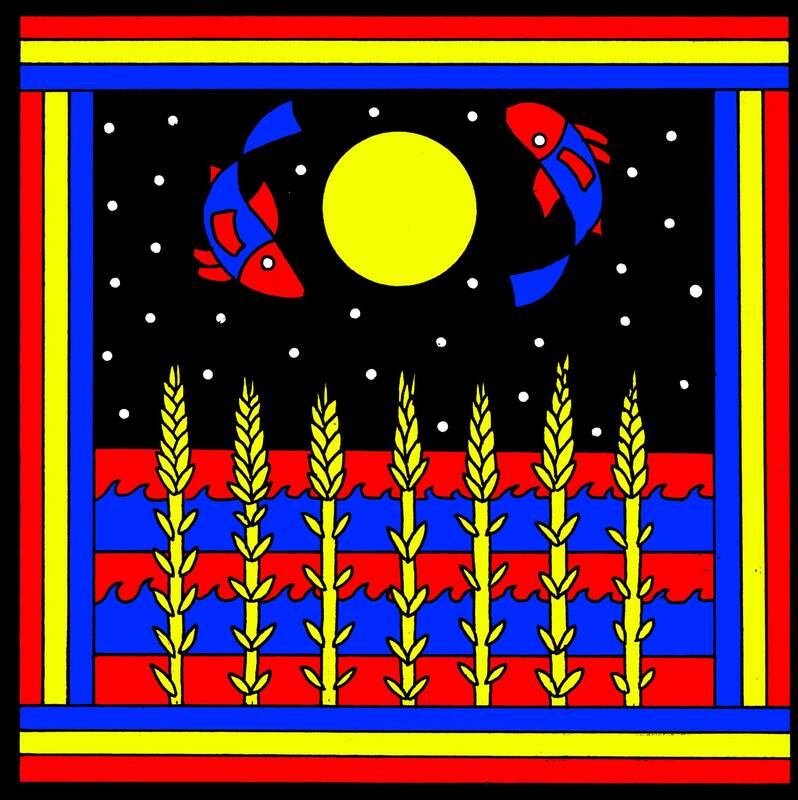 Thus while the Venus retrograde in Leo has already stirred up the intensity of these collective conflicts, this Virgo Solar Eclipse will further crescendo passions around issues such as the legalization of gay marriage and institutional racism in law enforcement in the United States, the refugee crisis in Europe, and countless other global crises involving conflicts in society that create oppression. Our draw into the dynamics of our relationships is catalyzed even further by Mercury in Libra separating from a square to Pluto in Capricorn at the time of the eclipse. As Mercury will also be on the brink of stationing retrograde, there will be key insights into our relationships to be found at this time including awareness for how the conditioning of our culture and early authority figures have helped shape our relational patterns. We are dealing at this eclipse not only with our own personal karma but also our ancestral and cultural karma, and so part of the Virgoan task will be analyzing what issues are part of our core patterns we need to personally work on, and what issues are more about how our authentic nature has been molded by familial and cultural influences. Those born with Pluto in Virgo in range of a conjunction with this Solar Eclipse (20-21°) and those born with Pluto in Libra in range of a conjunction with Mercury in Libra (14-15°) have a tremendous opportunity in this eclipse time to feel into the bottom line of their relational patterns. At times this may feel heavy and in need of grieving, but a metamorphosis into a purified relational dynamic free of past restrictive influences is possible to eventually realize. The recent Pisces Full Moon initiated us into the opposition between Jupiter in Virgo and Neptune in Pisces, and the tension of their polarity has been building in intensity every single day during the waning half of the recent lunar cycle. At the time of the Solar Eclipse, their opposition is not yet exact but close and applying strongly. Pisces and Virgo, ruled by Jupiter and Mercury since ancient times, are an essential polarity in astrology through which we develop our sense of meaning, belief, vision, and spirituality. We need both for healthy vitality of belief and perception: we need the holistic awareness of Pisces that transcends the labeling and categorization of reductionist thinking, while we likewise need the Virgo ability to penetrate into detailed analysis of the parts that make up the whole so to avoid living our lives lost in illusion of belief. Neptune has become associated firmly with Pisces because it is the symbol of ultimate reality, the oceanic source that remains beyond the ability of scientists to catalogue and rationally explain. Jupiter in Virgo coming face to face with Neptune in Pisces therefore means we must come into reckoning with the invisible aspects of reality beyond the ability of language to explain. As a result this Solar Eclipse marks a pivotal moment of transformation in our beliefs and vision, and you can use astrology as a guide in part by simply looking at the houses in your birth chart occupied by the signs of Pisces and Virgo, and aspects made to the opposition of Neptune and Jupiter at 8-9 degrees of these mutable signs. Since Mercury in Libra is also the ruler of Jupiter in Virgo, it means the added emphasis on relationships marked by this eclipse also applies to the opposition between Neptune and Jupiter, and so it is in our outer interactions and conversations with others that we will become impelled to reshape our vision and beliefs. Another astrological force found in the harvesting of this Virgo Solar Eclipse is Ceres, stationing direct at 26 Capricorn a few days after the eclipse in range of a trine. Ceres has been associated with Virgo in astrology at least as far back as Marcus Manilius in the 1st Century CE, who wrote that “the Virgin with her sheaf belongs to Ceres” (Manilius, Astronomica, 2.433-452, Goold trans., 1977, p. 117-119). While Manilius was of course referring to the mythic Ceres and not the dwarf planet Ceres, the connection between Ceres and Virgo was further bound by Demetra George in her book Asteroid Goddesses, in which she described Ceres as an agent in transforming our sense of personal awareness into collective awareness through the sign of Virgo and around issues of productivity and acceptance that creation and transformation involves both life and death, loss and birth. Ceres stationing direct in Capricorn, in range of a trine to the Solar Eclipse in Virgo, could bring up issues of balance around our ambition and if the goals we have been working toward are about gaining external validation to boost our inner worth, or if our work is instead focused upon goals that will bring us intrinsic rewards without the need for outer acclaim. In the end, by finding the work that will bring us a true sense of joy to perform we will most likely gain recognition from others who share similar interests and passions. Ceres is the Queen of the asteroid belt and now considered to be more of a planet than an asteroid, but there is one asteroid goddess in particular who is also highlighted at this eclipse: Pallas Athena in Sagittarius, who forms a t-square with the Solar Eclipse in Virgo and Chiron in Pisces, being square to both. 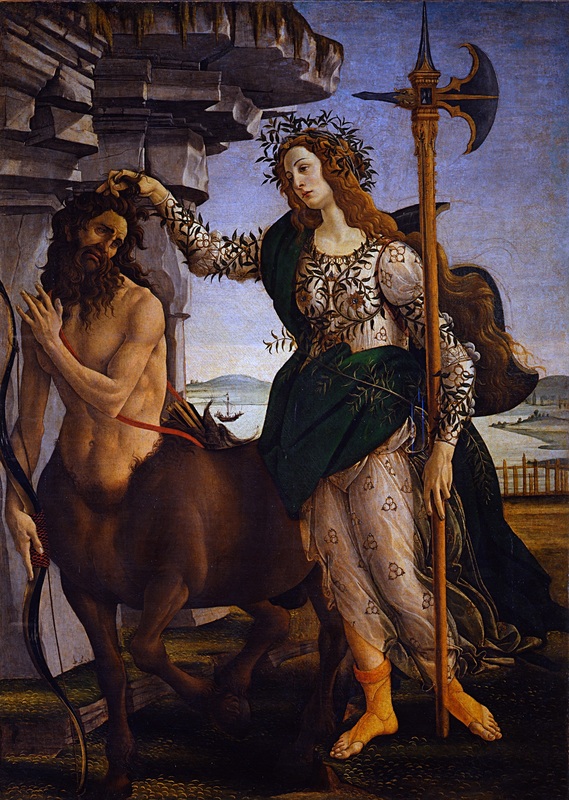 The most impactful aspect this Virgo Solar Eclipse makes is perhaps its opposition to Chiron in Pisces, the most prominently celebrated of all of the wandering centaurs in astrology. Chiron bridges Saturn and Uranus, as at its closest orbit to the earth it can at times become closer to the Earth than Saturn, and at its farthest orbit to the earth it can at times become farther from the Earth than Uranus. 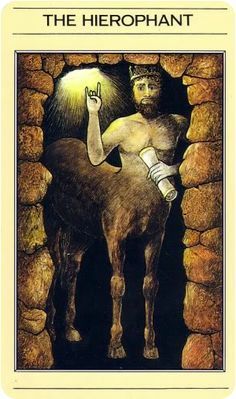 This means that the half horse, half human figure associated with Chiron connects the material world governed by Saturn with the boundless realm of the transpersonal associated with Uranus. As a result Chiron connects to the deep memories and knowledge we hold in our body that can erupt into our consciousness in bodywork and practices aiding our integration of body, mind, and spirit. Indeed, Chiron’s eruptive impact can be seen in its connection to the Uranian realm of sudden liberation that can feel shocking in its lightning bolt effect, eventually bringing realizations of Self-healing. Chiron in Pisces is holding the place of polarity to this Virgo Solar Eclipse, meaning that he has a vital lesson to teach us. Chiron is the master teacher who demands excellence from his students, the mentor of the healing arts including music, plant medicine, and astrology, and the martial arts as tools for self defense and the protection of others in need of help. There is also the aspect of the mythic Chiron involving his suffering from toxic poisoning and willingness to give himself over to the pain in sacrifice, the “wounded healing” characteristic you have no doubt heard ad nauseam from astrologers. Although the “wounded healer” analysis may be overused, there is an aspect that I have found tends to be very accurate in terms of Chiron’s impact on us- this is the phenomenon in which the issues we have struggled with and have caused us suffering turn out to be the vehicles that transport us to our greatest strengths and to the gifts of soul we possess to transmit to the collective. For example, the timing of Chiron’s discovery in 1977 corresponded in popular culture with the development of hip hop and punk rock, two forms of musical expression that countless youths since have seized to express their feelings of pain and suffering in the material realm through, gaining a sense of Uranian liberation, individuation, and higher power in the process. Chiron wants you to have a vehicle, a tool, a technique, or a practice to express your talents into the collective, and through the interweaving of your inner gift with the outer world, powerful growth and healing can be activated. This Virgo Solar Eclipse in in range of a sextile with Saturn at the end of Scorpio, while Chiron is also in range of a wide trine with Saturn, so the polarity between Chiron and the eclipse contains a lesson for us that can promote our stability in the material world. A more challenging aspect is the quincunx between Uranus in Aries and the Solar Eclipse in Virgo. While this quincunx can bring up fears that our most inspired, boundless visions do not have a realistic chance of manifesting, instead work to find an access point to begin the process and set things in motion. If you keep putting things off until you feel completely ready or circumstances seem perfect you can continue to put it off indefinitely. Find a method, practice or form to transmit at least part of your vision through, and work on letting go of criticizing your initial effort through comparison with others or your own idealized standards. Pallas Athena in Sagittarius being both square to the Chiron polarity with the eclipse, as well as in trine to Uranus in Aries, means that we can use creative visualization to change our lives, both inspiring us to initiate new steps and aiding us in reformulating to address issues once underway. Venus is now direct in Leo and established as divine Morning Star heralding our dawn. Venus is applying to a trine with Uranus in Aries, and separating from a conjunction with Mars in Leo, giving her a fiery Morning Star presence that wants to go after whatever she finds inspiring and beguiling. Venus is strongly tied to this Virgo Solar Eclipse since Mercury is the ruler of the eclipse and occupying Libra, the home of Venus, meaning that Venus is receiving Mercury through a sextile. This sextile between Mercury in Libra and Venus in Leo brings an opportunity to begin stabilizing within all of the transformation we experienced during the Venus retrograde. Since we are talking about eclipse season I do not mean stabilizing to imply a quiet and peaceful experience, but rather that through the storms of this time we can begin solidifying our reborn Venusian values through our actions in response to life. At the time of this Virgo Solar Eclipse, we are within a brief period of time in which we do not have a personal planet retrograde, as Venus finally ended her retrograde six days before the eclipse, and Mercury will station retrograde five days after the eclipse. If you feel raw and vulnerable in the aftermath of this recent Venus retrograde you are not alone, and it is worth remembering that Venus will remain in her retrograde shadow zone through the rest of September and into the first week of October. Whatever has been reborn in you during the Venus retrograde is vital to tend and keep sustained, no matter how difficult it may seem at times. Venus is also the ruler of the North Node of the Moon in Libra, bringing Leo passion and a clear push toward fulfilling our desires within relationships. It also means we will have a difficult balancing process if we want to meet both our own needs and the needs of others in our relationships. 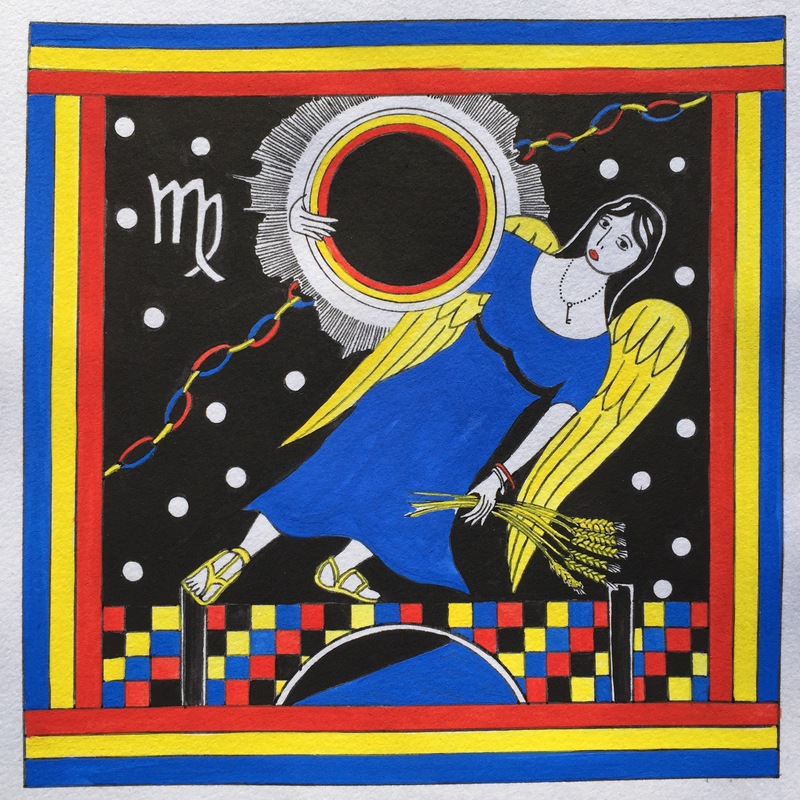 The sabian symbol for this Virgo Solar Eclipse provides a solution in the image of “a girl’s basketball team,” suggesting that through collaboration with others, through being accountable to a role within a team pursuing a common goal, we can find the point of balance between meeting both our own needs and the needs of others we are in relationship with. The vital point is that if you find yourself in a process of negotiating with a partner over relational dynamics, that you do not suppress and ignore the inner transformation you felt taking form during the Venus retrograde. While it is important to listen to others and to be supportive, it is also necessary for you to live your own authentic life. This Virgo Solar Eclipse falls in the third face of Virgo that is associated with the 10 of Pentacles card illustrated above by Pamela Colman Smith. 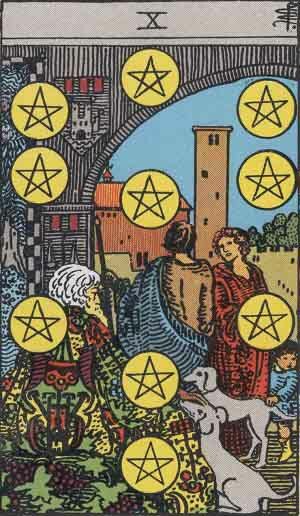 In tarot this image of a family enjoying the fruits of their labor and legacy is associated with wealth, both the accumulation of wealth as well as being able to sustain wealth through familial lineages or other legacies. The image also corresponds with the achievement of a stable, secure lifestyle affording one the possibility of enjoying material luxuries as well as the luxury of a contemplative lifestyle. 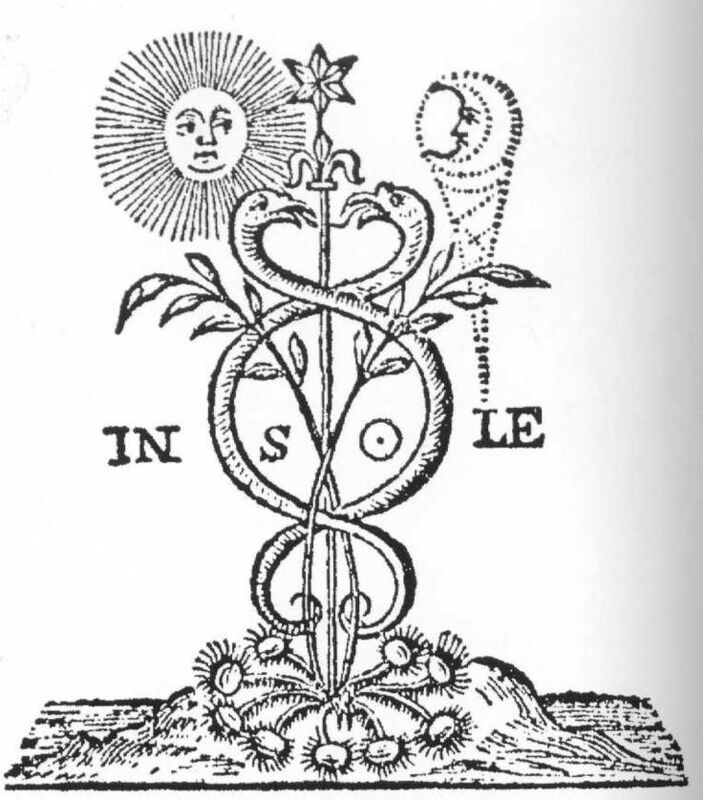 In connection to the Solar Eclipse in the third decan of Virgo, we likewise have our own lineages and legacies to draw from in the pursuit and gaining of wealth, though here wealth is more about its root meaning of happiness, health, and well-being than material riches. This could connect with your blood relatives and ancestors or perhaps more likely with your soul tribe, those beings who are your kindred spirits and have provided you with inspiration and visionary meaning. Escorted by wealth on one side and death on the other, the residents of this face cross the threshold into the tomb. Alone in the burial chamber with silent centuries, they dialogue with the corpse all will become about the value of all things. The importance of legacies becomes clear, for though all works face eventual decay, some endure for aeons. For just as no thing continues forever, all leave something behind. There is no life which does not bestow upon the world an inheritance, even if it is no more than a feast for scavengers . . . In comprehending the ongoing cycle of generation and corruption, one is freed from fear, for most terrors are petty, and disappear when the shadow of inevitability falls across them. This discussion reveals the importance of things as they are- arising and receding- and deserving of love and attention. Though not mentioned by Coppock in his deft portrayal of this decan, in the tables of the appendix he lists that the fragmentary Hellenistic text the 36 Airs ascribed the goddess Hestia to the third face of Virgo. Hestia is a sublime spirit guide to turn towards at this Solar Eclipse, for she holds within her purified gaze the focus necessary to stay true to the quality of value essential to our vitality that we wish to invest into the work we perform in the world. Hestia is the devoted one with a far reaching legacy of sisterhood we can draw from, a spiritual lineage that across tumultuous centuries has sustained respect with every breath and action for the living force found throughout all of the natural world of creation. Hestia holds within her heart a moral compass impossible to manipulate or distract away from the path of love and service to all of creation. Within waves of shattering change, within the decomposition and death of the old and the hatching of the new, Hestia opens herself to the change of the moment through her heart-centered focus on the eternal power of love and devotion. Thank you- I haven’t read astrologers writing about the discovery of Chiron in connection with the development of punk rock before, but I strongly feel there is a connection there. I am very happy that you have found my site and honored you found meaning in my writing. Chiron is a radical image and symbol to work with! I haven’t yet finished, but I wanted to mention before I forgot, the North Node is also right between Juno (28 degrees Virgo) and BML (which is also a calculation/average, but still: 2 degrees Libra). Pretty interesting that all this heavy Goddess energy is happening right on the cusp of Virgo and Libra, too. Virgo is a single, independent women. The Scales are technological. The symbolism here is pretty great. Ha. Yes, good points about Juno and Black Moon Lilith. I thought about adding them in but was feeling like this one was already long and I essentially covered the same meaning I would have by mentioning them. I like your point about all of the Goddess energy on the Virgo/Libra cusp. It’s interesting that Juno is now heading toward a union with the mean Black Moon Lilith- I could see this being about independence as you mention, but also about partnering with people who share core essential passions and there needing to be a relationship built around equality within the intimacy. Also, Mercury will be going retrograde in Libra and then heading backward through Libra to unite with both the mean Black Moon Lilith and Juno- this just makes this upcoming Mercury retrograde in Libra sound even more pivotal for us Pluto in Libra folk than I was already thinking. Thank you for sharing Kelsey! Yes, the grieving comes and goes a lot lately. I like to think that I am a little freer of past, or any influence, but not convinced that one can ever be omcpletely free of it (not that you aresuggesting otherwise). For me, it feels like I float through phases of influence, all of which continually reorient some core nature that is at the root of my being. I do see more now that the core nature is a combination of personal experience of family and culture, mixed in with something at root which can never be fully fathomed, but is something like a mystery unfolding through the course of my life. Although I don’t fully understand astrological influences, because I just don’t spend enough time studying it, I can see the archetypal nature of the planets and their relationships as you and others describe them. I love the Liz Greene quotes too! Thanks for all the great stuff you present here Gray!